At Free Spirit, we love cruises. They offer a way to see the best of a range of different destinations and you get to come back to the same comfortable accommodation at the end of each day. They also offer the added appeal of fabulous entertainment and the reassurance of helpful, friendly crew just a few steps from your cabin. A cruise holiday is also a great way to meet and socialise with like-minded people. Many cruise-goers come back from their trips with newly-made friends for life. The convenience and luxury of a cruise tempts many of us back time and time again, but what about travel insurance for cruise holidays? Is it really necessary to take out a travel insurance policy that’s designed to cover cruises? Simply put, yes, it is – especially when you have a pre-existing medical condition or disability. The best features of a cruise – travelling from country to country, taking part in activities – can be the very things that make travel insurance indispensable. It’s important to ensure you have wide-ranging travel insurance cover that provides for your particular health needs and the type of cruise holiday you wish to take. What’s more, many cruise companies insist that every passenger has cruise travel insurance ahead of their holiday, so you may not be able to set sail without it! 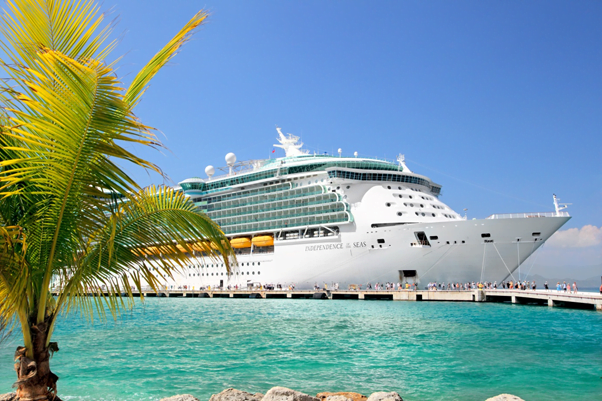 Let’s take a closer look at the benefits of our cruise travel insurance. It goes without saying that a cruise holiday involves spending a good deal of time at sea. While sailing between your destinations can be wonderfully peaceful and liberating, it could present problems if you were to become unwell on board the ship and away from land. When you have an existing medical condition or disability to consider, it’s even more vital to have cover in place ahead of a cruise holiday. Our cruise travel insurance includes the provision and costs of emergency medical care if you should need it, even if it’s necessary to get you back to the mainland by emergency helicopter. You’ll receive the right care, without having to worry about paying any potentially sky-high medical bills. Cruise holidays can be more costly than other types of holidays, so it’s vital to have the right level of protection that covers all your travel costs. Free Spirit’s Single Trip and Annual Multi-trip policies both include cancellation cover, which means you could recoup any money you have already spent on your cruise in the event that you cannot travel due to health reasons*. With our ‘Super’ cover, cancellation is up to £2,500 per person, and our ‘Super Duper’ cover, is up to £5,000 per person. We may be able to provide a higher level of cover – please contact us to find out more. Although unlikely, it’s also possible that you may have to cut your cruise short due to a health problem. If you were to fall ill while at sea and had to come home prematurely, you could be left open to a very expensive unplanned journey back to the UK. There aren’t many types of holiday that enable you to explore a variety of different destinations on one trip. Cruises often span countries, and even continents, so it’s no good if your travel insurance policy only covers certain countries you’ll be visiting, rather than all of them. Travel insurance for cruises can be tailored to cover all of the countries on your itinerary – up to and including most of the world, if need be! So, you can sail through Europe, the Caribbean or to other destinations with cover for your medical condition or disability in every port of call. With so much to see and do, it’s no wonder that many cruises are longer than the average trip abroad. As such, you need a travel insurance policy that will cover your cruise from start to finish. At Free Spirit, we can provide cruise travel insurance that lasts up to 94 days for a single cruise, or if you are aged 76 years or older, we can cover you for up to 45 days for a single cruise. If you are lucky enough to be planning more than one cruise within a 12-month period, we can cover trips up to 31 days each with our ‘Super’ cover, or 45 days each with our ‘Super Duper’ cover. Cruises can offer a host of great activities both on board and on land, and even some in the water. You may have the chance to try sports like jet skiing, scuba diving and kayaking, which may not be included on every travel insurance policy. With Free Spirit travel insurance, you’ll be covered to take part in over 100 different sports and activities, including the three mentioned above**. Nonetheless, you should always make sure your doctor is happy for you to try any new activity before you travel. In addition to these great benefits, our cruise insurance is designed to cover people of any age, with most existing medical conditions or disabilities. Free Spirit cruise travel insurance also provides protection against loss and theft for your medical aids, travel documents and essentials. We can even cover you if you experience travel delays*. *Subject to the terms and conditions of the insurance policy. ** Scuba diving is covered provided it’s not solo and up to a maximum depth of 30m, and Kayaking is covered up to grades 1-3. Getting a quote for cruise travel insurance from us is quick and simple. You can fill in our online form to get an instant quote, or call and speak to a member of our friendly team on 02392 419 080, Monday to Friday (closed Bank Holidays), between 8am and 6pm. Home » Blog » Do I need cruise travel insurance?